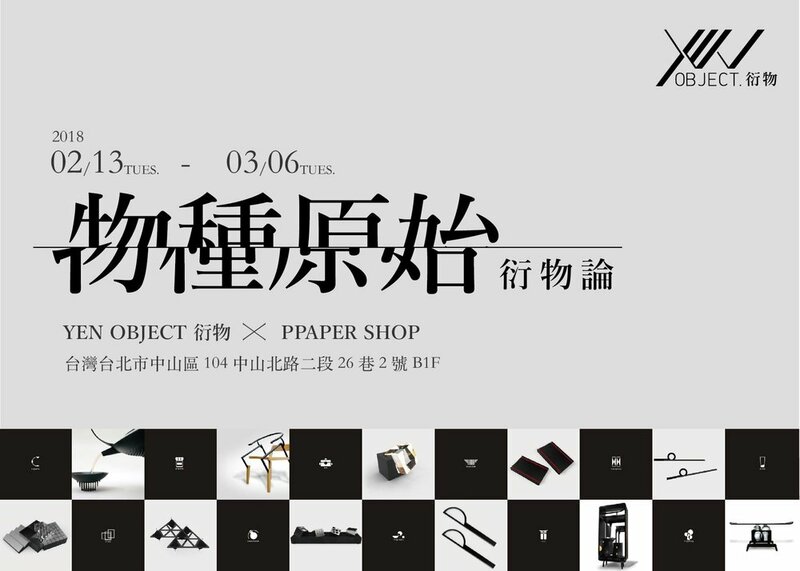 It's the first time of "YEN OBJECT" announced in Taipei, Taiwan including more than 30 works gives you an amazing trip. Welcome to visit us near Zhong-Shan station. From their original design "Mathematics" scissors, YEN OBJECT explored more material and concept of stationary. In this year, YEN OBJECT re-designed the stationary set of the concept "Empty- Solid" from Eastern philosophy to mix Western geometric sharp as a new architecture on the desk. And they also extend "Mathematics" idea on different products. It's a great time to have a deep understand YEN OBJECT right now, and see you there in M&O! YEN OBJECT will announce new design in Maison & Objet Paris, from September 8-13, Hall 7. There should be no doubt in your mind that the mesmerizing tea set before you is completely unique. Imagined by Ian Yen, the Float Tea Set is made of a minimalist teapot and matching teacups, designed with cast iron in mind, with this unconventional teapot featuring a full-moon-like handle and a straight pointing spout. The various nuances that result while pouring and sipping tea with, thanks to the lovely ink tones and polished surfaces used for this set, will make tea lovers everywhere feel like they’re floating on a puffy white cloud, careless and relaxed. The Taiwanese artist also designed a V-shaped base for the Float tea set, that’s functional and somewhat reminiscent of the hidden streams within a valley. 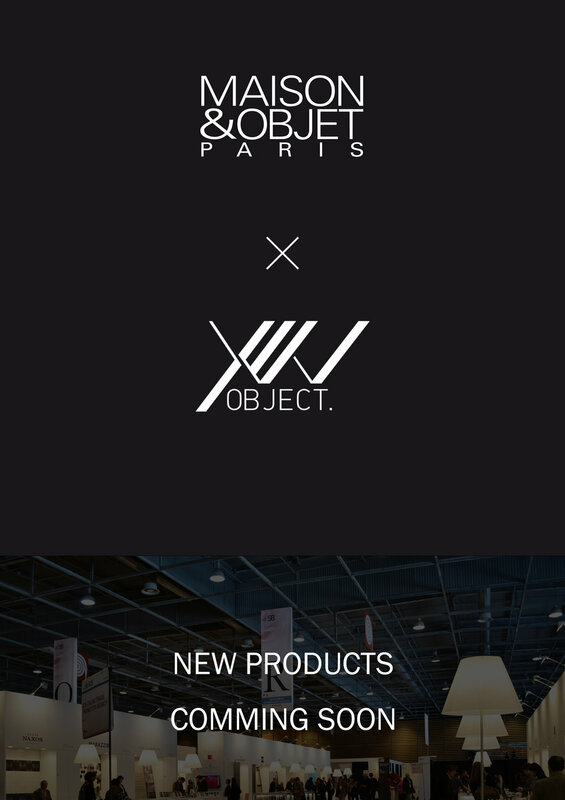 YEN OBJECT will announce new product series in Maison & Object! We will update of our portfolio in stationary and lifestyle and have a new light design. See you there! From September 8-12 in Paris Nord Villepinte. FLOAT tea set announced on Designboom! the unique ‘float’ tea set from ian yen is an embodiment of modern cast iron design, comprising of one teapot and matching teacups. minimalist as it is, this unconventional teapot has a full-moon-like handle and a straight pointing spout. brilliantly polished, the ink tones of the ‘float’ tea set shine with variations while pouring and sipping, just like splash-ink — a technique of chinese ink-painting. in the steam and light while enjoying the tea time at ease, the users feel floating effortlessly in a skiff on the lake in the full moon. Starting in 2009, Ian Yen joined most Taiwanese designers in gradually shifting his company’s focus to mainland China. Yen, who has worked in both Taiwan and China for many years, is well qualified to speak on the reasons behind this shift in strategy. “If you ask me for my takeaway on running design firms in Taiwan and in China, I think the most important thing is that the market determines the direction of our business,” he states with confidence. After many years teaching in notable universities in Taiwan, including Shih-chien University and the Taipei University of Technology, Yen started his own design firm, Y x R Design, with branches in both Taiwan and China. Over many years in business, Y x R Design has accomplished a lot, and subsequently been honored with numerous major international awards. Due to his extensive experience, Yen has his own take on the relationship between contemporary huaren design and the huaren (Chinese-speaking) market. 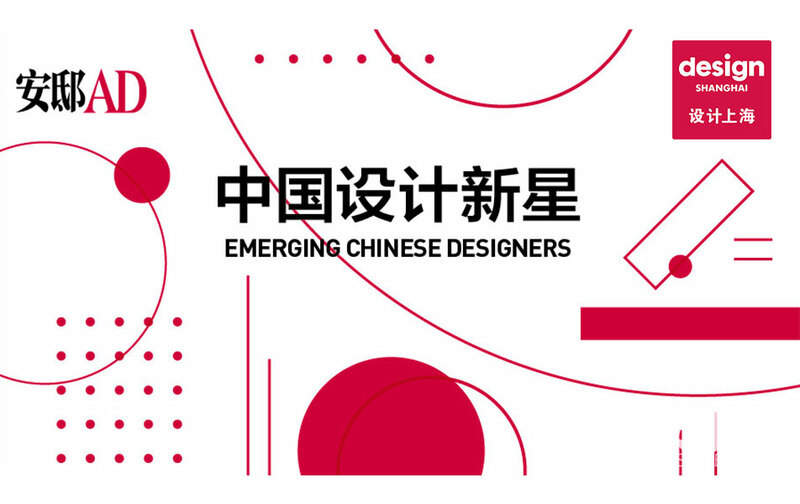 “In addition to countless homegrown design firms springing up in tier-one cities like Beijing, Shanghai, Guangzhou, and Shenzhen, China’s design industry is also enriched by the many renowned global design firms that have established offices in China. In such a broad and open market, not only can the design industry flourish, competition is also extremely fierce. This kind of positive competition is an excellent catalyst for the development of contemporary huaren design,” says Yen. Market differences between Taiwan and China have led to differences in how the design industry on the two sides have developed, as Yen explains from the perspective of both users and firms. “Designers and design firms need the stimulation of a good market. For designers in Taiwan, competition is just as fierce as in China, but unfortunately, due to the limitations of the market, most Taiwanese companies are not able to produce distinct design,” he explains. Ian Yen is confident that contemporary huaren design is influencing the consumer market. “It’s undeniable that, for younger huaren consumers, the rapid iteration of products is nothing new,” he notes. “Younger consumers need innovation, so for huaren designers, design firms, and even companies, each new iteration of a product must be better than the last. With this goal in mind, the quality of huaren design is growing every year.” Yen believes that each experience he has of designing for the huaren market contributes to the growth of himself and his company, and that the current market continuously pushes designers forward. Yen says that only a broad, open, and competitive market can force companies to recognize the importance of design and consumers to value the concept of branding. These developments will raise the standards across the market, in turn creating more opportunities for huaren designers in the future. Ian Yen is the director of Y x R Design and a part-time lecturer at Shih-chien University and the National Taipei University of Technology in Taiwan. He has participated in Milan Design Week and Tokyo Design Week, and been honored in major design competitions such as the international iF and Red Dot design awards. 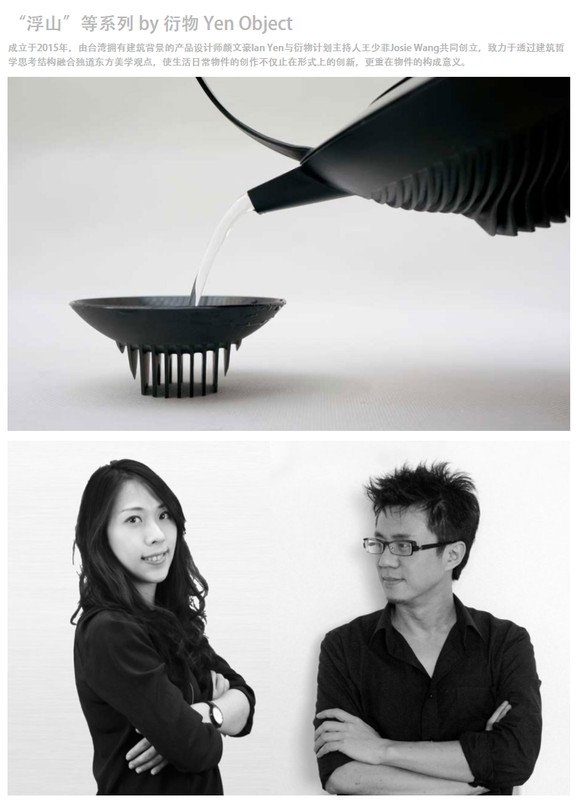 He is one of the few Taiwanese industrial designers with training in architecture. His unique background and ensures him a perspective that is different from that of most designers, and pushes him to develop new ideas around design and entrepreneurship. Why we need design in business? How design helps business to win? What design makes to change the business game? iAN Yen shared his 15 years experience in design field to cooperate with enterprise to build a new business model and win the business game in design perspective. Attachment please find the press kit of our new collection and other products infomation. Please contact us (+886)9222125116 or (+86) 13122933263 or send an email to info@designyxr.com to better organize meetings in Milan! DESIGN YXR is invited in SHANGHAI ART & DESIGN EXHIBITION 2016. welcome to visit us! !